It has been a long, cold winter for many of us. Thankfully, the crocus buds are a sign that spring is finally here. While it’s still a little brisk, the sun was shining this long weekend, and in my neighborhood everyone was opening windows, clearing off porches, and generally tidying up their yards. And as we noted in a post last week, it’s also a great time to do a little website spring clean-up as well. Does your seasonal site tidy up include your members-only content? Or maybe you’re thinking now is the time to create a “members-only” area on your website. Why limit access to members-only? Your website may be the “go to” destination for insight about your organization and its mission. It might offer a warm welcome and a wealth of information to all site visitors. But it is also the gateway for your members as well. How are they rewarded for their membership support? How is your website drawing them in and encouraging them to keep coming back? Offering exclusive or premium content that is accessible only through a member login, demonstrates the value of membership. It can also help motivate prospective members as well as impacting existing members’ renewal decisions. Think about how you felt the last time you were searching the web and saw that note: “sorry - you must be a member to access this content” sign appear. Didn’t you wish you were a member so you could check out the information? 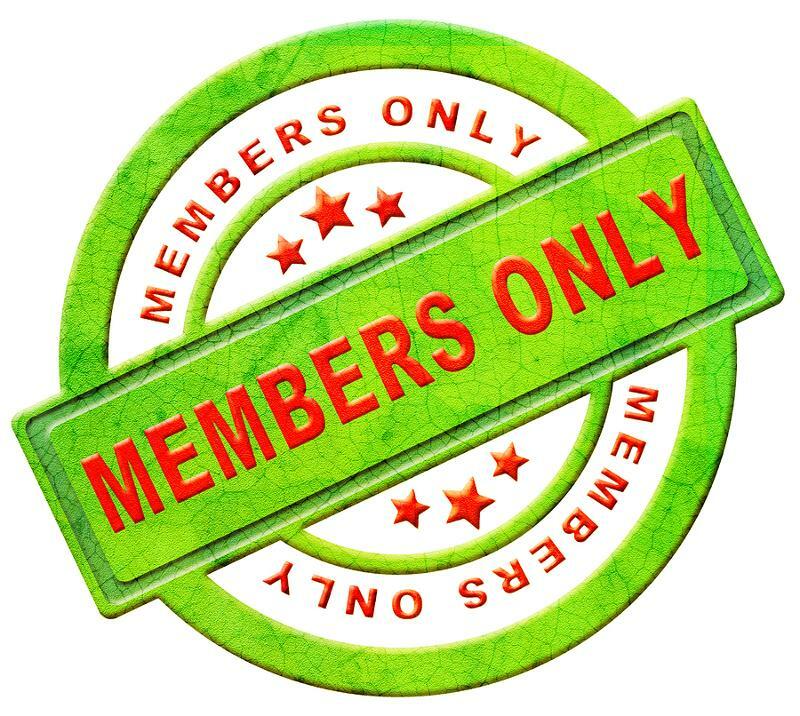 What content to include in members-only? Have you ever wondered what other membership groups include in their members-only areas? Many organizations offer restricted access to their membership directory. Others offer forums where members can discuss issues, ask questions and have conversations with their peers. Premium Content - This area can include all manner of resources (libraries, association documents, white papers, etc.) that will serve as a depository for organization information. This will be the go-to area for members to obtain data they need. This will add a lot of value to membership in your organization. News and events - Member only pages are an excellent way to deliver news and announce upcoming events for the group. Relevant information keeps your members engaged with the organization and up to date on what's going on. Meetings and notes - Keeping members in the loop with regards to what's happening in the association is always a good idea. Minutes from meetings and general notes about the organization lets members know about the operation of the assembly and also shows an air of transparency. Any presentation a member, or members, have given can be posted here. This helps keep members involved. Job postings - This section will always garner plenty of interest. Even if members are not looking for new positions they want to know what's available in their industry. And then there will always be people who are looking for new jobs and careers. Exclusive offers - Everyone always likes insider deals. This is a good way to give members added value. These offers can be deals related to the industry, such as discounts on meetings and conferences, or they can be totally unrelated, as in specials on vacations just for the group. What types of content does your organization offer solely for your members’ eyes only? Share your ideas in the comments below.